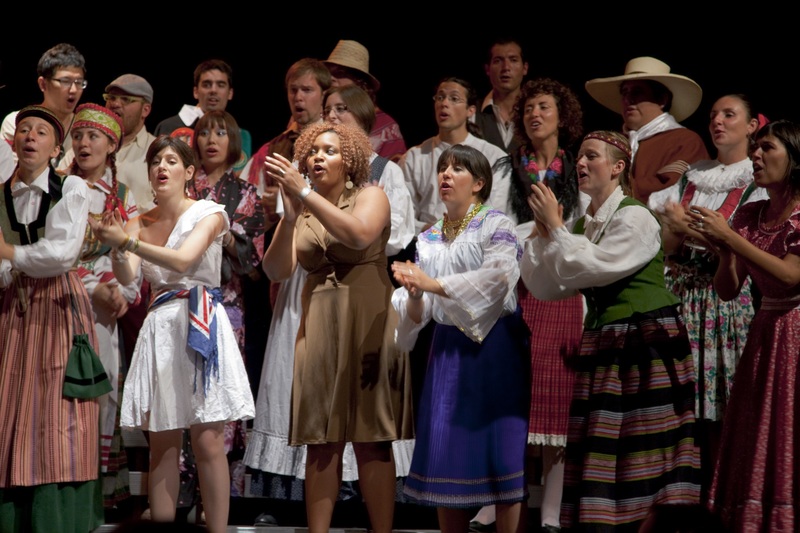 Singing together is a basic activity that exercises tolerance, sympathy, and awareness of others, towards the common goal of communicating and involving other people in a shared experience of beauty. 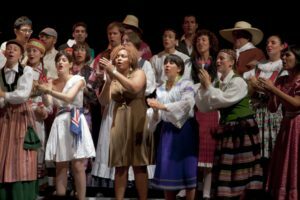 This approach is a fundamental trademark that each singer in a choir shares with his/her fellow singers, and is part of the roots of choral music. This mindset needs to be communicated and celebrated worldwide, in the hope that it may make the entire world aware that such traits are not only elements of an ideal, but are also present in society. celebration, and this should be a worldwide event, given that the passion for choral music is not limited by any boundary of nation, culture, religion, race, or census. This event exists: it is the “World Choral Day” (WCD) and has been celebrated for the past 20 years on the second Sunday in December. December 11, 2011 will be a day on which all choral activities will share a common point of view, a common feeling, a common scope. Since its inception the WCD has seen ever-increasing participation and interest, involving more and more countries and initiatives, all expressing the same sentiment. The events that have been organized to celebrate this particular day are concerts, festivals, sing-alongs, choral seminars, and Days of Friendship, all of which share a common theme. Last year the WCD was celebrated by 215 choirs from 23 Countries, and the proclamation for the Day was read in Afrikaans, Bulgarian, Catalan, Croatian, Czech, English, Esperanto, Flemish, French, German, Hungarian, Italian, Japanese, Mandarin, Norwegian, Portuguese, Quechua, Romanian, Serbian, Slovenian, Spanish, Swedish, and Ukrainian. The celebrations dedicated to this special day were mostly concerts, but there were also other events such as festivals, open air singing, students’ demonstrations in the streets, ecumenical religious celebrations; and for the first time we observed new types of events such as a simple gathering of conductors in a home in Ivory Coast just to read the proclamation, and a “flash mob” at a shopping center in Poland. This year’s theme is “Solidarity”: many people are suffering because of disasters, earthquakes, tsunamis, draught, hunger, poverty, terrorism and war. Choirs from all over the world have been expressing their solidarity with the victims of these calamities and will continue to do so, raising awareness of this important circumstance in today’s world. 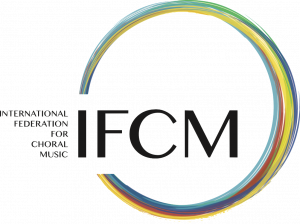 IFCM invites all choral institutions and leaders to be a part of this effort based on these fundamental values. It is a way to make the WCD a date that demonstrates the positive power of choral singing across all nations, all continents, all peoples, who will be reached and deeply touched by it. that are being scheduled for the WCD, and invites all choirs and choral institutions to register and give information at the following site: www.ifcm.net. If you register your event, we suggest that you download the logo and include it in the design of your printed material, and a proclamation can be downloaded in the language of your preference. Reading the proclamation at some point during the concert, although not mandatory, is suggested because it sets the event within WCD ideals, and connects it with all other events around the world. Please send material (videos, press releases, programs, recordings, etc.) which can then be used to document the event worldwide, and can also help to promote this important choral initiative. Please take a short time to compile the data for your individual event by visiting the section dedicated to WCD on www.ifcm.net. Help us to make a global statement using choral music as a connecting vehicle world-wide. Choral singing is not just a cultural hobby; it encompasses a universal passion, which not only carries a sense of beauty and aesthetic perfection, but also holds in itself the seeds of positive values which will surely make a better world. Join us in the celebration of World Choral Day this December 11th, 2011. I greatly appreciate to be reading such “elating” literature on your website. I am myself a choir master and composer in Brittany (West of France). I have recently composed a sort of musical for teenagers called “Le livre oublié” (= the forgotten book) about the Acts of the Apostles (New Testament, The Bible). We are going to realise it with high school students in LESNEVEN this school year. Although my website is written in French, I’ve been thinking you might find some interest in it.